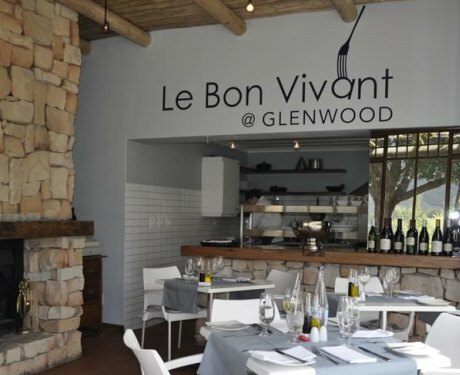 Talented Dutch born chef Pierre Hendriks, owner and patron of ‘Le Bon Vivant’, his well established restaurant in the village of Franschhoek, has long provided superb cuisine which is French inspired, but using the best local produce with seasonal menus. 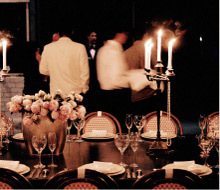 With its cosy interior, this owner managed venue also provides outdoor dining in the garden, and is an acknowledged favourite of local residents as well as discerning visitors who seek out the relaxed atmosphere yet enjoy the high standards Pierre sets himself, always modest yet very talented. 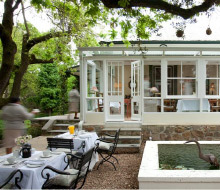 2013, to the delight of us all, has seen the far sighted owners of the beautiful GlenWood Wine Estate along the peaceful Robertsvlei Road, outside Franschhoek, embracing Pierre with the opening of his signature lunchtime bistro there, with a delicious menu accompanied by GlenWood’s hand crafted red and white wines in a scenic and tranquil setting. Exciting developments at the well loved and established Oaklands Country Manor! 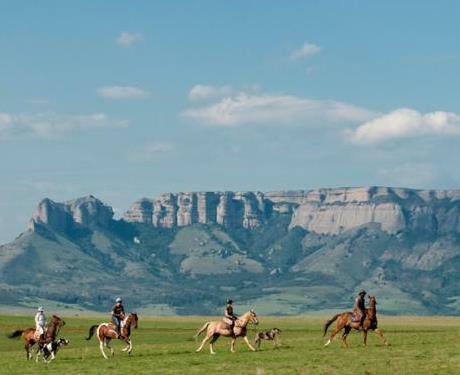 Scenically set close to the Free State and Kwa Zulu Natal border, near the village of Van Reenen in the Drakensberg, major and very positive work is being done on their accommodation. The property has always featured family suites along with Hilltop House, a self contained self-catering option, in addition to the regular rooms for couples. With a glorious easy to reach location, perfect for those travelling between Johannesburg and Durban, and those wanting comfort, wonderful cuisine, hospitable hosts and a range of activities before or after visitng the Battlefields, or Kwa Zulu Natal Midlands, Oaklands Manor will by the end of this year emerge as an even more desirable location. With a rich history, the property is owner managed and run by the very competent, welcoming hosts, the three Tully sisters, Caroline, Annie and Kathy and provides everything for relaxation or for those seeking adventure, there is horse riding and polo, walking and hiking, cycling, fishing, tennis and much more. A special plus for parents are the supervised children programmes, which ensure the whole family enjoy their time at this special property. 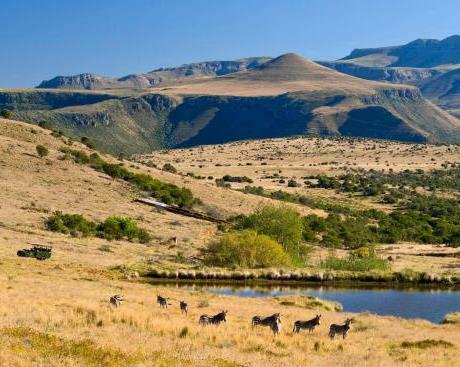 Head for the heartland and the beauty, space and tranquility of South Africa’s Karoo on your next visit. A great place to start it all is in the beautifully restored town of Graaff-Reinet, South Africa’s fourth oldest, and at the heart of the Great Karoo surrounded by the Camdeboo National Park. 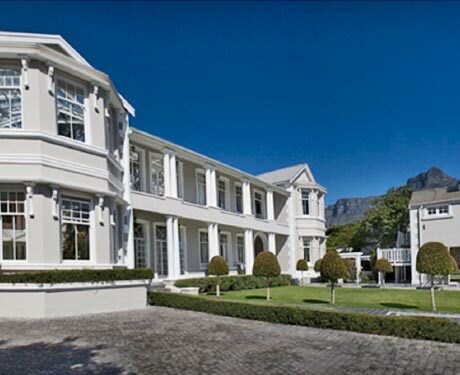 It features magnificent examples of Cape Dutch architecture, and over 220 heritage sites. The past is preserved in four extraordinary Museums whilst the surrounding area includes much to attract the hiker, photographer and lovers of fauna and flora. The famous and awe-inspiring Valley of Desolation, as well as the peak, Uitkyk, which attracts paragliding enthusiasts from all over the world who come to share the thermals of the vast Karoo skies with the resident Black Eagles, are within easy reach. Fascinating villages and hamlets amidst historic farms still owned by settler families, include Nieu Bethesda, home to The Owl House and its sculpture garden, the fascinating home one time of Helen Martins, as well as the Bethesda Arts Centre. 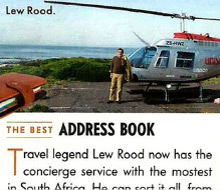 Some very well known South Africans come from this interesting town including Lord Somerset, Robert Sobukwe, Beyers Naude and Dr. Anton Rupert. Happily too for the traveller, there is a wonderfully hospitable, comfortable and inviting small property in which to stay and base yourself whilst exploring all of what this magical part of Southern Africa has to offer. The Andries Stockenström Guesthouse owned and managed by convivial hosts Gordon and Rose Wright, offers comfortable accommodation and warm hospitality in the heart of the historic town. 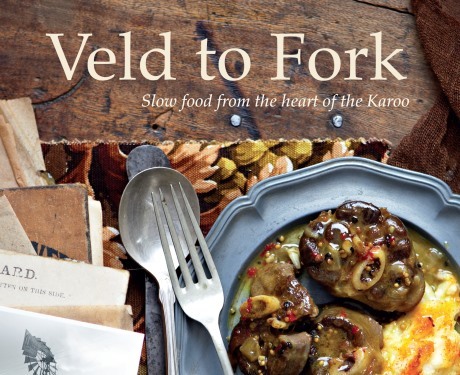 Gordon is the author of the recently published book ‘Veld to Fork’ slow food from the heart of the Karoo and discerning travellers will enjoy the property’s signature ‘Gordon’s Restaurant’, which offers seasonal menus using ingredients from the guest house’s organic garden along with fine Karoo produce. The main building dates from 1819 and is a national monument, however every modern amenity is available to guests. The guest rooms are individually decorated and guidance is on hand at all times for you to enjoy Graaff-Reinet and the surrounding countryside ensuring a memorable experience at this peaceful oasis. Head off then to Mount Camdeboo Private Game Reserve, just to the east of Graaff-Reinet, set in 14,000 hectares of ancient land, home to cheetah, white rhino, cape buffalo, giraffe, mountain zebra, wild cats, sable, a host of antelope, birds of prey and a unique collection of fauna and flora, in the mountain setting of the Sneeuberg range, where guests are accommodated in restored Cape Dutch houses. Privately owned, the reserve has been rehabilitated for long term conservation and sustainable utilisation. In stark contrast to the arid plains and rugged mountains, guests are accommodated in superb comfort with attentive staff and every facility one could wish for. 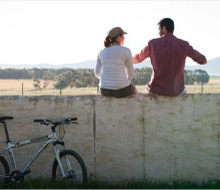 Designed to offer maximum enjoyment of a true bush experience with privacy and romance for couples, Mount Cambdeboo also offer family fun, and is ideal for young and old with unique experiences tailor made to every guest. 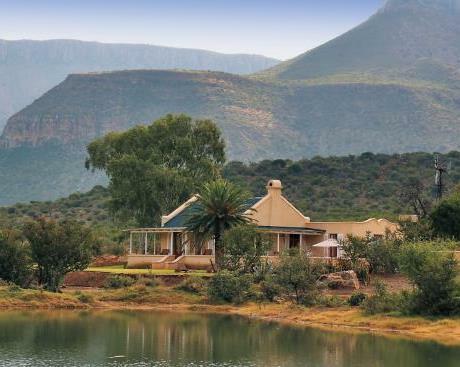 This is all in an uncrowded private wilderness area, with great cuisine, fine South African wines and Karoo hospitality at its best . Rewarding game drives and trails make this an exhilarating property, combined before or afterwards with the Graaff-Reinet experience. Regular corporate business visitors to Cape Town have long since discovered the comfort, tranquillity and convenience of stylish Bankia Boutique as their home base when here. 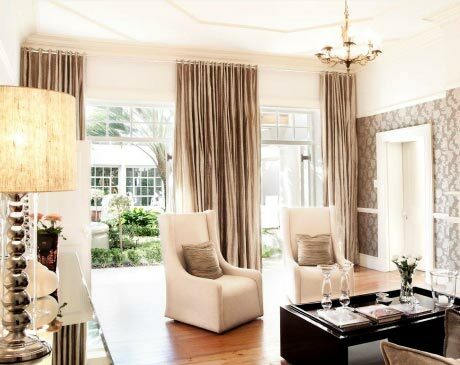 Seasoned leisure travellers too, enjoy the oasis that talented Shelley Kingston has created, a beautiful house in a manicured garden setting with swimming pool and Sanctuary Spa, easy access to Cape Town’s airport, motorways, the city and Waterfront and the southern suburbs with attractions such as the Irma Stern Art Museum, Kirstenbosch Botanic Gardens and the Constantia wine valley, all within easy reach. Immaculately decorated bedrooms and bathrooms with superior amenities and stylish public areas combine to make this a desirable destination, coupled with its beautiful ‘sister’ property, the beach retreat ‘Shore House’ on the Cape West Coast. An ocean-front enclave in an exclusive nature reserve, this villa is a mere 70km from Cape Town with uninterrupted views of Table Mountain, sandy white beaches and provides every convenience required.